Many of us take medication for depression and it is often, though not always, quite helpful. But there are many things we can do to alleviate the symptoms of depression other than swallow pills. This simple article will give you some suggestions in terms of what to STOP doing and what to START doing to feel better. 1. Drinking. Alcohol affects the depressed brain in two ways: In the short term, it can distract or inhibit the symptoms of depression. When you’ve had some drinks, the clarity of your negative state can become reduced, as can the pain of being where you are in your life. The intensity of your despair can ease. Ultimately, however, self-soothing through alcohol will worsen your depressed symptoms and reduce your ability to cope with the stress of dealing with them. In addition, self-medicating with an addictive substance is a slippery slope that often, in this case, leads to alcoholism. 2. Comparing. It seems to be human nature to compare ourselves with others, and such comparisons probably had some evolutionary advantages in the past. But when you are suffering from depression, your perceptions, attitudes and understanding will be skewed to the negative. So, inviting comparison will almost inevitably lead to your belittling yourself. If you are not feeling secure, happy or confident, why would you choose to compare yourself to someone who makes you look good? You wouldn’t! The tendency, when depression is present, is to find people who reinforce your negative view of yourself – those whom you see as smarter, better, prettier, richer, more fortunate, and so on. When you catch yourself comparing, remember it is only making you hurt more. Change your thinking. 3. Judging. 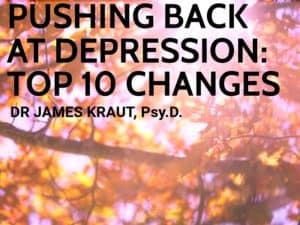 So much about being depressed involves putting ourselves down. We become so conditioned to judging ourselves – and others – that we fall into the trap of criticizing and condemning everything about our lives and always wishing for things to be different. We end up with little tolerance for our human nature and an increase in shame and guilt. The more critical we are of ourselves, the poorer our self-image and the more burdened we are with self-directed negativity. And none of it does anything except make us feel bad. We all yearn to be better than we are and to banish what we see as the dark and weak aspects of who we are. But ironically, we can only change who we are when we accept who we are. 4. Living in the past. As fallible human beings, we will continue to get things wrong as long as we’re alive. The adaptive purpose of making mistakes is to help us learn. If you did X and it turned out badly for you, you can’t go back and do Y. You can only resolve not to do X anymore, now that you know how it turns out. So, mistakes are useful when utilized in this way. Continually berating yourself for doing X, on the other hand, does not give you the opportunity of going back to undo X. It only makes you feel bad – and helpless. When we’re taking care of ourselves, we deal with our fallibilities compassionately, learning lessons from what we did wrong that steer us in a wiser direction. 5. Living in the future. We are always able to do the best we can, but we never have control over the outcomes of what we do. The more time you spend in the future, the more anxiety you generate over what may or not happen, which is out of your control, and the more fearful you are of events that are not even here. “What if…” is a question that we ask far too often. The tendency we have to play it really safe when we are depressed becomes exacerbated by constant reminders of all the wrong things that may happen in the future. We have the present. That’s it. All of our work is in the present moment. 1. Cultivating gratitude. Being grateful is the opposite of feeling sorry for ourselves. The more of one you have, the less there is of the other. There is scientific evidence that regularly getting in touch with gratitude increases quality of life and reduces depression. Unfortunately we are conditioned to notice what’s wrong and look over what’s right. You may not give your good eye sight a second thought until you discover you have an illness that threatens your ability to see. As Buddhist master Thich Nhat Hanh suggests, we all feel the agony of a toothache but few of us appreciate the comfort of a non-toothache! Try this: Put a little notebook by your bed and write three things in it every night before bedtime for which you are grateful. See if you feel any better after a month of doing it. 2. Get outside. There’s a beautiful, inspiring world out there and we are ignoring it more and more. As awe inspiring as our iPads and smartphones are, a walk in a park touches us in a place that’s been receptive to nature for millions of years. Being in the natural world feels good if you stop thinking long enough to let it in. One of the things I like best about my early morning walks with my dog is the chance to spend time with the incredible trees in my neighborhood. There’s something relaxing and comforting – even inspiring – about looking at a tree, believe it or not. I discovered a long time ago that when I’m at a long red light or in a traffic jam, if I can look up and find some trees to look at, I become less impatient. There’s a natural part of you that belongs in the natural world. Go out and experience it. 3. Move! I’m sure you’ve heard it before, but aerobic exercise releases endorphins, which are neurotransmitters that make you feel good. The thing that makes this suggestion more difficult is that when we’re depressed, we struggle against a strong tendency to want to lie around and not move. So yes, you’ll get the endorphins, but only if you can will yourself past your depressed self’s intention of keeping you sedentary. The good news is that once you start doing it, it becomes a routine and you will have much less trouble getting to it. 4. Eat right. There’s a significant difference between how we feel when we’re getting good nutritional value from our diets and when we eat nutritionally deficient foods that we’ve become conditioned to enjoy. When our diets are high in natural, unprocessed foods with an emphasis on fruits, veggies, fish, beans and grains, we have more energy, our digestion is better and ultimately the whole body benefits. The term “comfort food” is unfortunate; it makes us think that if we eat fast food, pizza, cookies, candy and the like, we will feel more “comfortable.” In reality, if you give healthy foods a chance, you’ll feel much better than the junk food made you feel and you’ll live longer. 5. Don’t be alone. Man is a social being, meant to live in connection with others. The impulse when you’re depressed is to pull in and be by yourself. The rationale behind this impulse is that the depression is taking so much out of you that being alone will relieve you of social obligations that feel stressful and overwhelming. In truth, however, being with people when you’re depressed has some distinct benefits. First, when your depressed way of looking at things goes unchallenged, it becomes more real and more absolute. To be around people who are not depressed changes our energy and often our way of looking at things. We take in what they’re putting out and it can result in some mood improvement. Also, and as a therapist, I admit some bias, to discuss what you’re going through can be quite helpful. You get it out of your system, you get a chance to hear some helpful advice and you may get some loving support and empathy. When we’re suffering from depression, we may think we’re better off alone, but deep down we all want to be understood and loved. You’ll get neither when you’re by yourself. Hopefully, these suggestions will help you when you’re in a depressed state of mind. Please feel free, always, to share your thoughts. 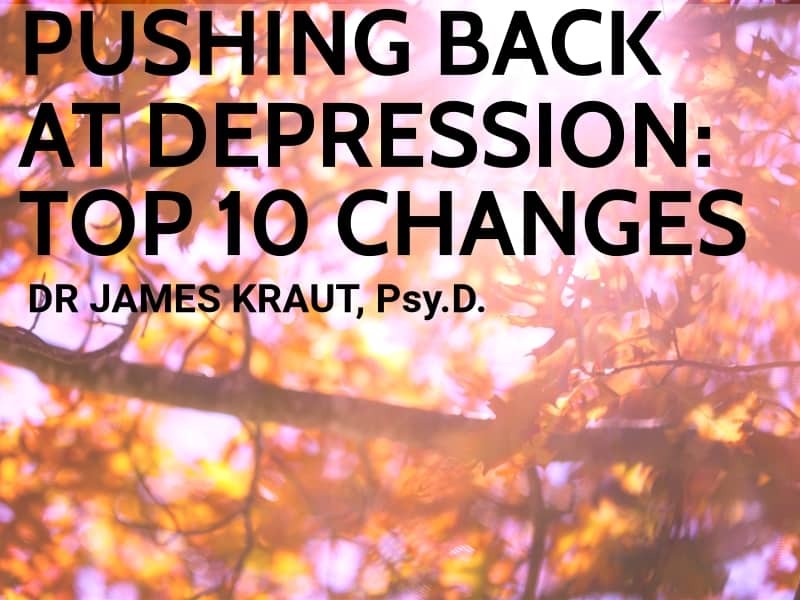 Dr. James Kraut is a licensed Psychologist in Coral Springs, Florida. 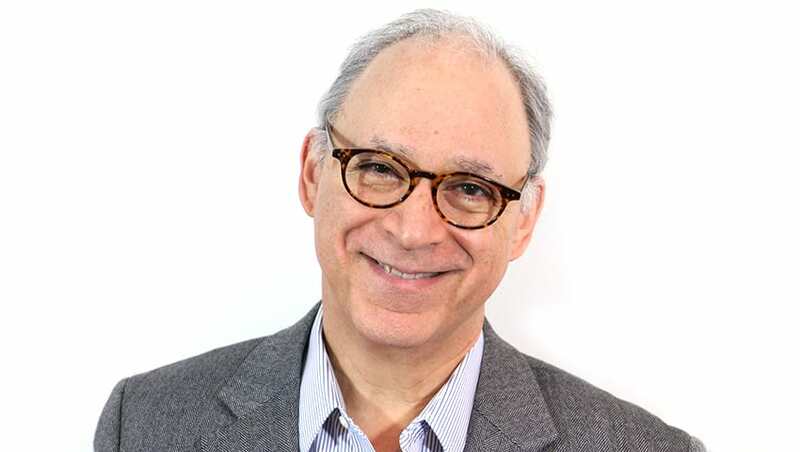 You can read more articles published by Dr. Kraut by visiting his official blog on his website.